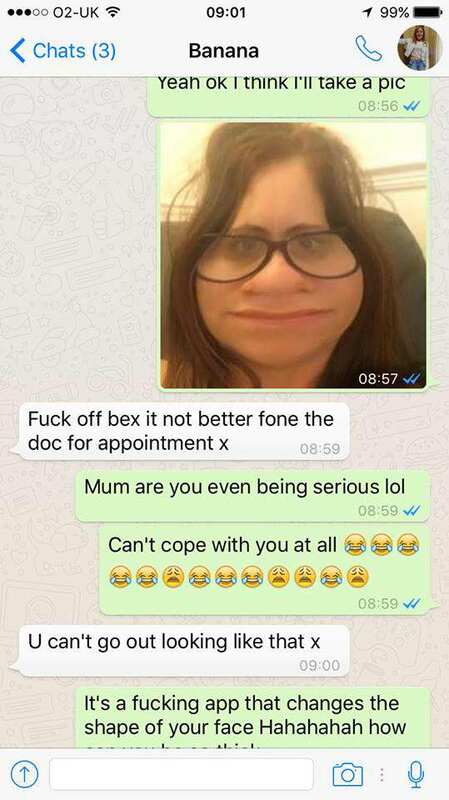 This may just be the funniest mum reaction ever. 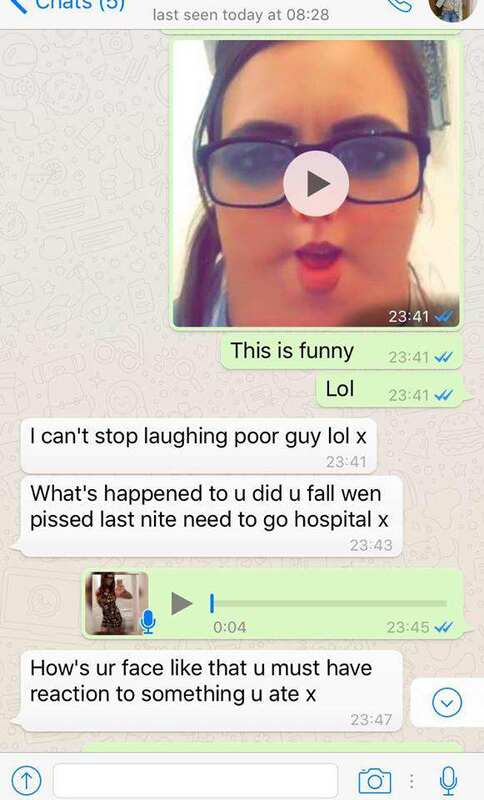 Rebecca Owen, from Manchester, was on Snapchat and took a video of herself messing around with the square filter. 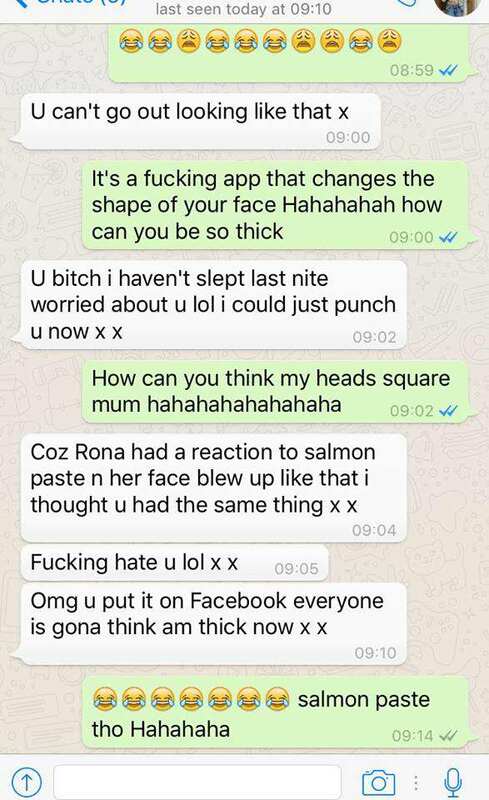 Thinking her mum would find it funny, she sent it to her. 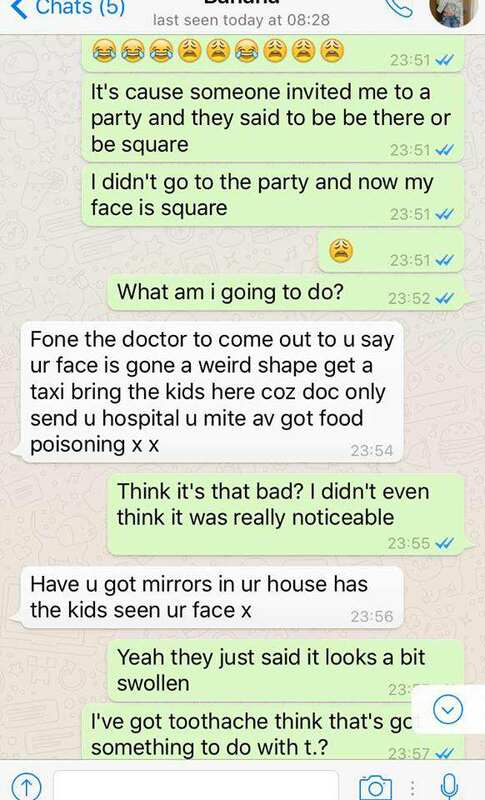 But Owen’s mum had a very different reaction and thought something was seriously wrong with her daughter’s face. I actually can’t cope with this video…. Snapchat filters amuse me so much… I can’t stop laughing at this one ????? After thinking her daughter had fallen over while drunk the night before, Owen’s mum assumed it must be a reaction to something she’d eaten. 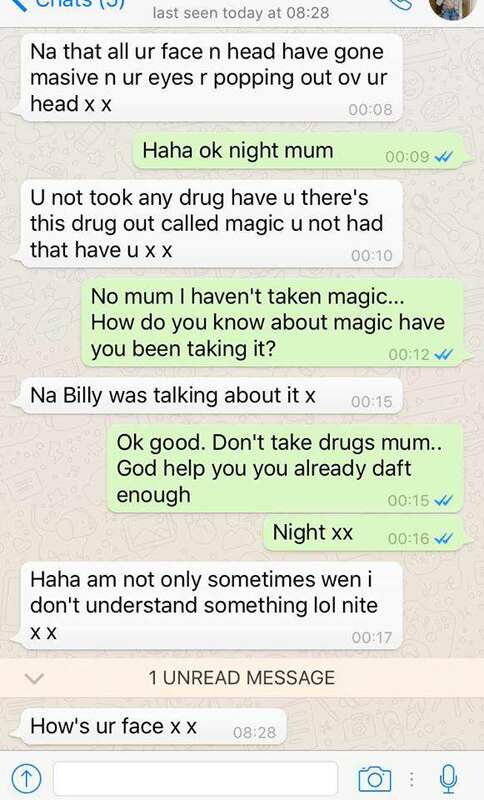 She even questioned if her daughter had taken drugs – specifically one called ‘magic’ – and it wasn’t until she told her mum the truth that she realised how gullible she’d been. And it’s hilarious. Fair play to Owen though, she did keep the joke going for quite a while. 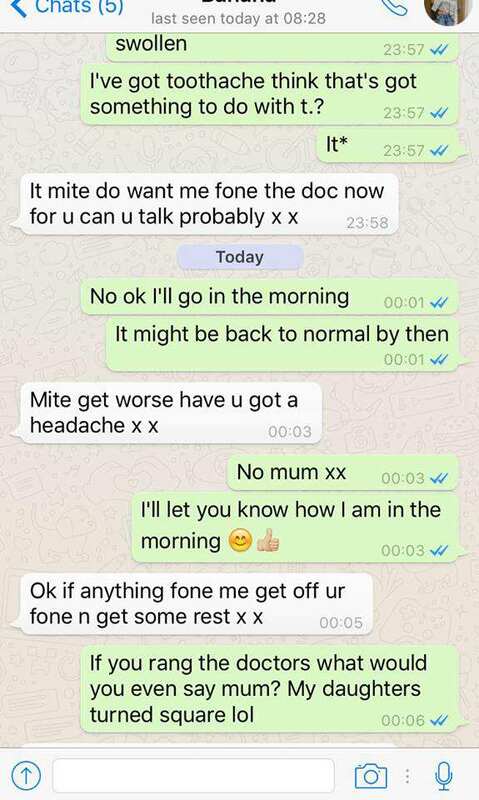 We can only assume Owen’s mum was more than relieved. Obviously, Owen posted the exchange on Facebook. It’s since been shared over 9,000 times and liked another 9,000 more, with many people saying it reminded them of their own mum. I know it definitely reminds me of mine. 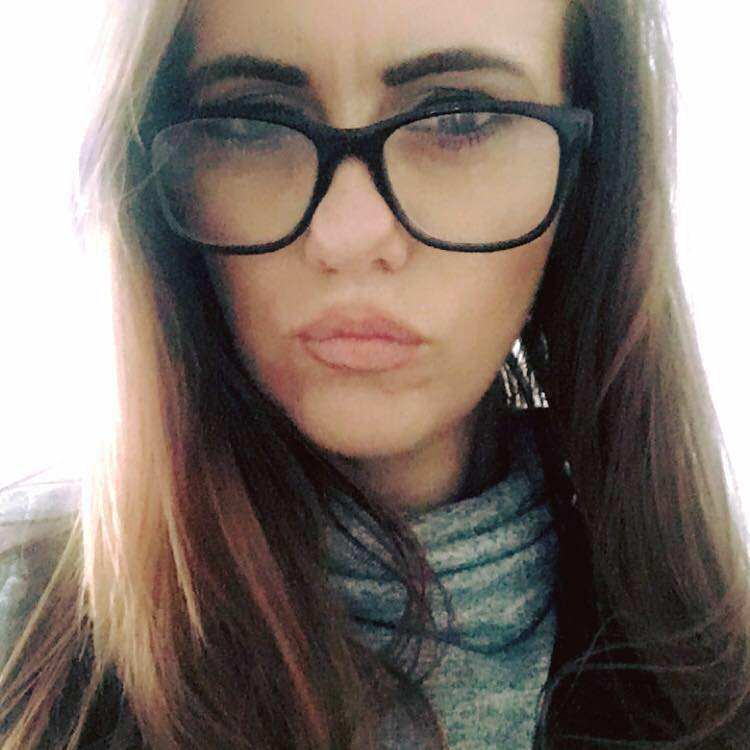 She said: “I didn’t expect it to be shared like it has been,” and added that most people have been positive towards her mum, with the exception of a few criticising her spelling (English is not her mum’s first language).